I am a big lover of fairytales, princesses and anything to do with fantasy, so when I was contacted by David Meredith, himself, asking me if I'd like to review his self published book based on Snow White - a princess that I have loved since I was younger I obviously jumped at the chance excitedly. We start The Reflections of Queen Snow White a few weeks before her daughter, Princess Raven is due to be wed. We learn that an older Snow White is depressed after the loss of Prince Charming, her husband and doesn't know how to get over this hole she has dug herself into. Coming face to face with the magic mirror we go on a journey with her as she revisits the best and worst moments that have happened during her life. After a rather emotional journey Snow White finally realises what she needs to get her life started again. If you start reading this thinking that this is going to be a happy, joyous fairytale story you will end up being stood corrected. This goes beyond the fairytale, and takes you through some rather dark moments in Snow White's life. I can definitely tell that it was written with an adult audience in mind. I feel like I went on the journey with her and you could certainly feel her highs and her lows through the rather detailed flashbacks. I like how even the flashbacks weren't like the original fairytale. The characters were different, the stories were different and even how she meets certain characters was different. It certainly made for a very interesting read. The relationships that Snow White formed, I feel is one of the most important details in this story. Her relationship with Erfuet, one of the dwarfs. It felt like one of a grandparent/grandchild and it touched my emotions in a way I didn't think possible. Her relationship with Charming did seem a bit funny to me, seeing as she was only 17 and he was 30 when they met, but as the story went on you could tell how much they meant to each other and how much love they had for each other. Their relationship was sweet, loving and also rather steamy at times and I loved it. I could definitely tell that they were made for each other. The only problem I had with this book was that it was too short. I feel like there were loads of things that still needed to be explored and I felt like it ended rather abruptly. I wanted to know what happened to her stepmother and if her daughter's marriage lasted throughout the years, but I was just left guessing. Which was maybe what the author wanted? But I knew that I needed to know! 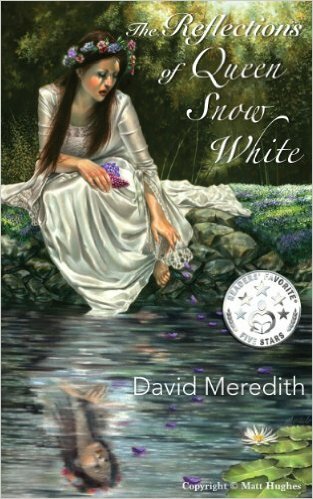 The Reflections of Queen Snow White was a short, interesting read that made me see the classic character in a whole new way. Although it hasn't changed my life I will most certainly be taking away some of the lessons learnt throughout. If you have ever wondered what happened after Snow White's 'happily ever after' then this is the book for you!